older still is the trinity of the Triple Goddess: Maiden-Mother-and-Crone. Ghost — was not formalized until the 4th or 5th century C. E.
than that, with evidence dating from the 7th millenium B.C.E. out knowledge . . . . By me kings reign, and princes decree justice. to validate their rule (B). ancient (unorthodox) worship of the Hebrews (D, E *). to a religion that seemed so similar to native worship (F). in the history of virtually every known culture around the globe. cultural consciousness (East and West) for the last 2000 years. to have been in her 50s when she was assumed into heaven (G, H). which describes Mary’s girlhood, portrays Mary as spinning in the Temple. Brigit. 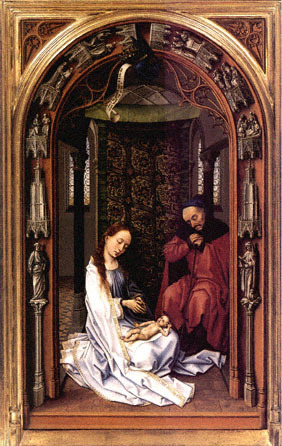 Even today, Mary is called The White Mary (B*).